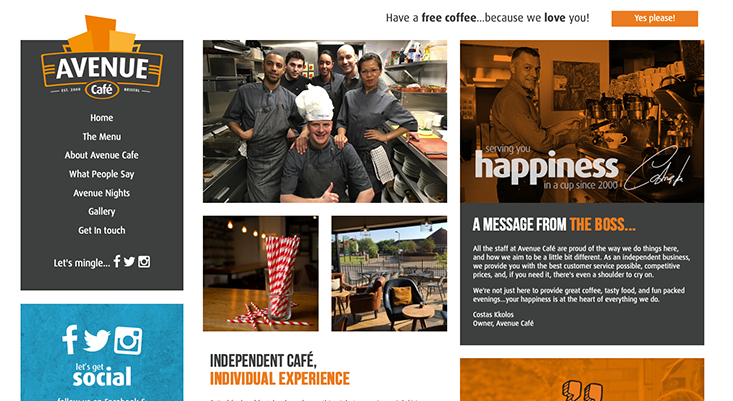 Costas needed a website designed and built to attract customers into his independent Coffee Shop and spread the word about his business. We designed his website to be fun, modern and easy to use with plenty of calls to action for the viewers to click. The menu that we designed uses quirky colours and graphics which we also incorporated into a more detailed design for print purposes. 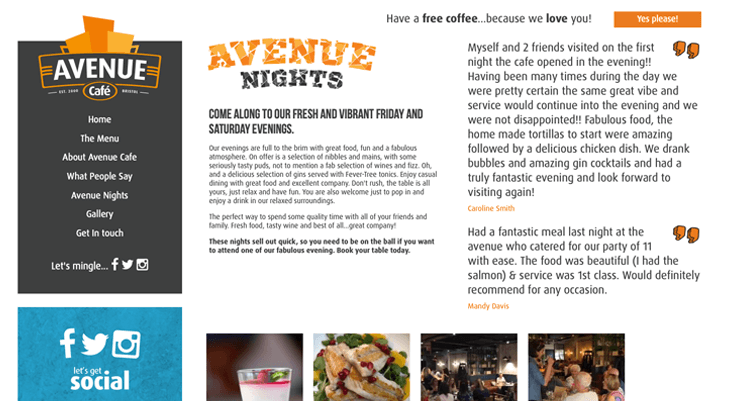 The website includes a fairly new feature for Avenue Cafe; encouraging the user to sign up for a free Coffee. In a competitive industry, this is a great lead bait to get the users contact details as well as a personal visit. Most customers are likely to purchase a cake along with their free drink and return as a paying customer at a later date. The details that were originally entered for the free Coffee; are passed into Active Campaign for further marketing purposes. 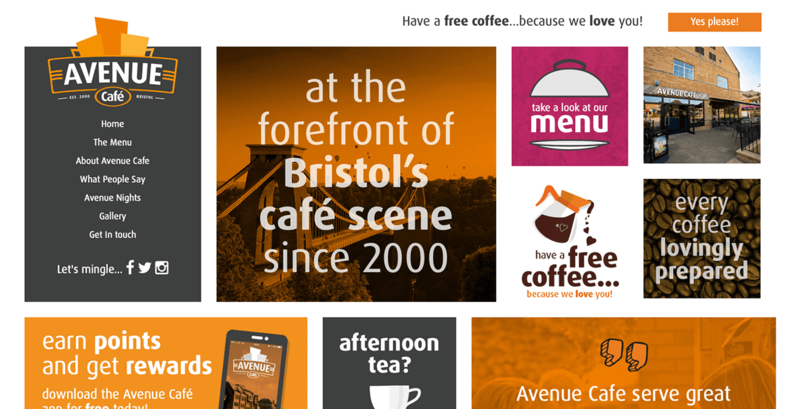 Costas also offers his customers a free Coffee on their birthday as well as a loyalty scheme – keeping up the competition between those big branded chains.